Landmark Swimming Pools offers expert inground swimming pool repair services. If your aging inground pool needs some cosmetic or structural work to freshen it up, you will want the services of an experienced and reputable company to do the repairs. In the greater West Hartford area, call Landmark Swimming Pools and rest easy. Even if you did not purchase your pool from us, we are happy to talk to you about ongoing pool maintenance, pool upgrades, replacement parts and repairs. When you notice cracks, chips, flaking, or other issues on the inner basin of the pool or spa, our contractors at Landmark are able to repair and restore your surfaces like brand new. Whether you need a simple coat of paint, a replastering treatment, or desire a beautiful new aggregate finish, you will be happy with the results. We can keep the basin looking like new for years to come. If the patio area surrounding your pool and spa is showing its age, we can design and install a brand new one. 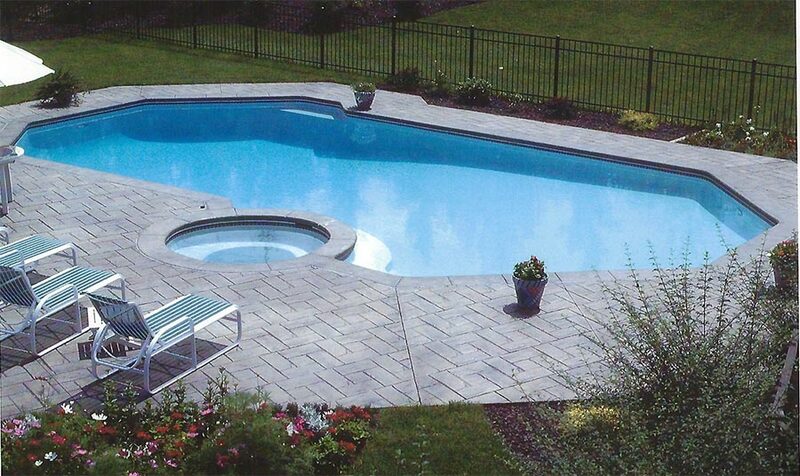 Landmark Swimming Pools provide all manner of pool installation, maintenance and repair services. When you work with Landmark, rest assured that we are here for the long-term. Depending on the use of the pool and the overall environment, pools will start to show wear at different times. One symptom of this is when tiles need to be replaced, the texture of the interior surface feels more rough than usual, or cracks in the cement need to be filled. The littlest details are just as important as major issues. Don’t hesitate to call us, and we will take care of it right away. Feel free to call and talk to our helpful staff: (800) 545-1460.